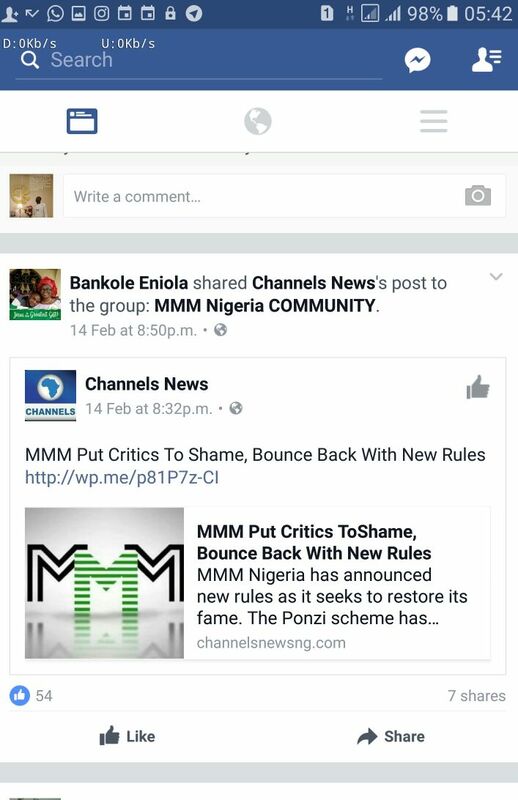 The very platform that has been castigating the MMM Ponzi Scheme is now promoting the Ponzi scheme. For the past months, MMM has come under severe attacks from the media but it seems there is going to be a turn of event or lets say there is an ongoing turn of event as most of these media are now promoting the MMM Ponzi scheme. 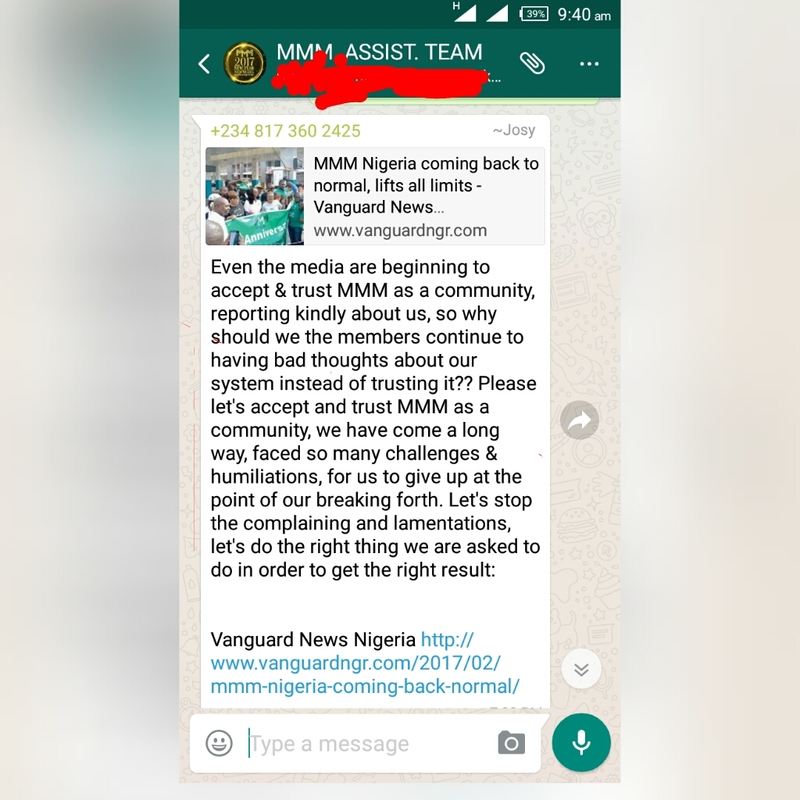 Below are two screenshots of channels news and Vanguard Nigeria news and what they have to about the scheme. 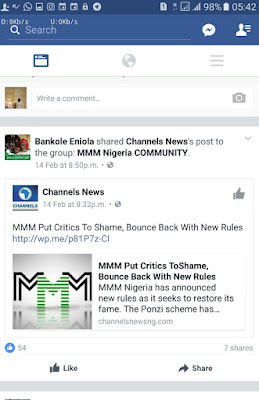 Someone shared a link on Facebook showing what channels have to say about the MMM scheme. The caption of the news reads “MMM put critics to shame, Bounce back with new Rules” this is in line with the news that appeared sometime ago in the MMM personal office stating that “all participants should provide a measure of provide a help and that all 2017 Mavros have been released but 2016 Mavros are still under restriction” . This is good news because MMM is now having the media as an Allie. 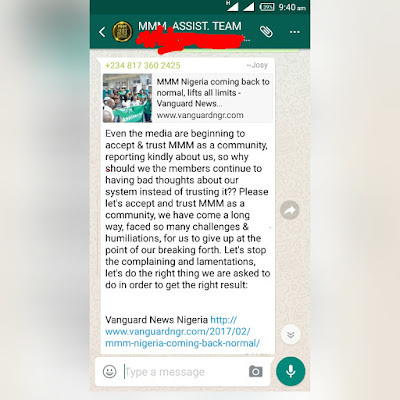 The next media that shows support to the MMM platform is the Nigeria Vanguard news. The popular news media in Nigeria published an article with the caption “MMM Nigeria coming back to normal, Lifts all limits”. The media are turning around and this is going to be good for the MMM platform as it is getting back on its feet. The trigger to this change of attitude towards the MMM platform is not known but one thing is for certain, it’s a good thing as this will help the recovery of the system. Cryptocurrency: UK Against Gibraltar Firms! !